Set for its 2nd annual running this fall along the rolling country highways of this tiny hamlet in the Catskill Mountains of New York, the Livingston Manor Half Marathon presented by Cadence & Craft offers runners the chance to run through beautiful scenery along an almost all-downhill race, and have a taste of craft beer at the finish line. Start in Willowemoc Wild Forest. 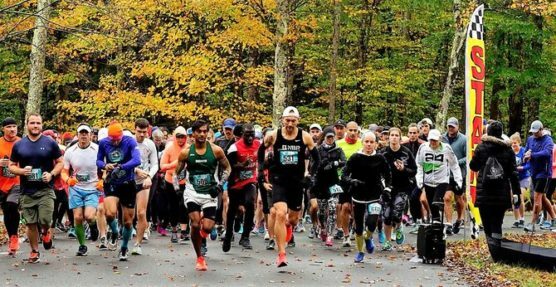 You’ll follow a point-to-point route at the race, which starts inside the 14,800-acre Willowemoc Wild Forest, a forest preserve that’s located about 9 miles northeast of Livingston Manor, itself a small hamlet that’s home to about 1,000 people and part of the nearby town of Rockland. From the Mongaup Pond Campground inside the forest — a popular spot for hiking, camping and mountain biking in the summer, as well as dog sledding and snowmobiling in winter — runners will make their way along the mostly flat park roads in the early miles of the race. Thanks to the time of year it’s run, the trees and leaves should be in full autumn color, blazing with all different shades of red, gold and yellow. Downhill from there. 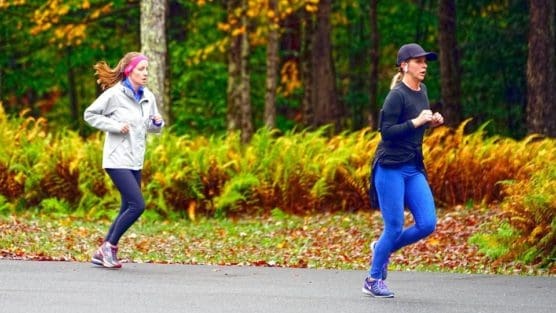 Once you make your way around the forest preserve, around the 4th mile marker runners will head onto Mongaup Pond Road and later meet up with Debruce Road, which will take you all the way into the hamlet of Livingston Manor. 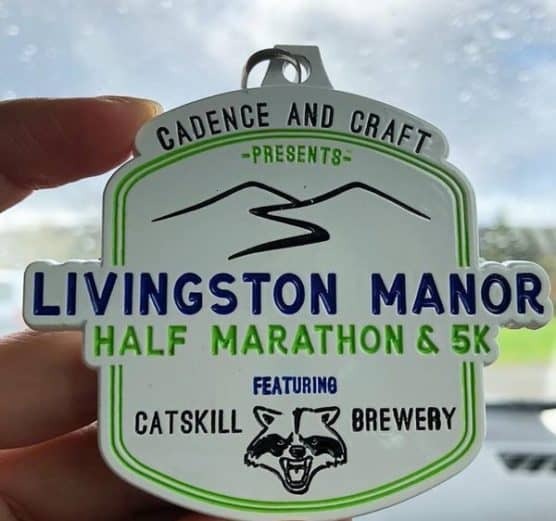 The course descends gradually over the next several miles, dropping roughly 700 feet in elevation between the mile 4 marker and the finish line, which lies in Livingston Manor at the Catskill Brewery, along Old Route 17. You’ll run through a covered bridge on your way there, as well as along creeks like Mongaup Creek early in the race and Willowemoc Creek in the second half. Beer at the finish line. 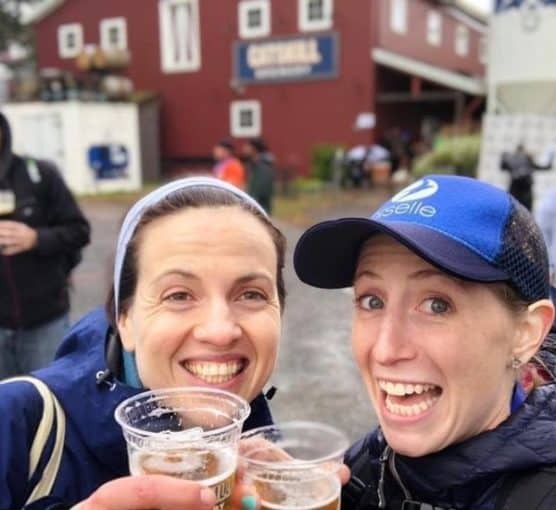 If you’re of legal drinking age — 21 years old or older — you’ll get a complimentary craft beer after you cross the finish line. Nestled in the foothills of the Catskill Mountains of New York state, roughly a two-hour drive north from New York City, Livingston Manor typically sees cool temperatures in October (averaging between the mid-30s and the upper 50s) and also usually sees its first snowfall of the year during the month. See the race route map for the Livingston Manor Half Marathon here. To reserve your spot in the 2019 running of the Livingston Manor Half Marathon or 5K Run/Walk, register online at RunSignUp.com here. 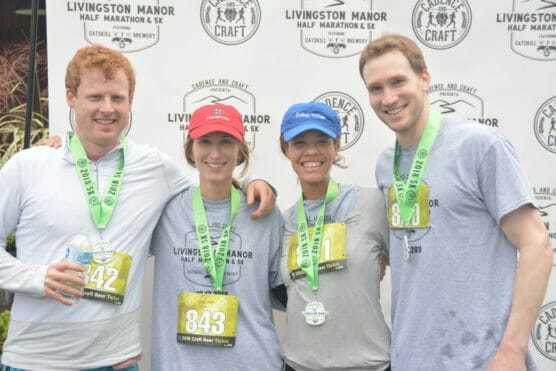 Ever run in the Livingston Manor Half Marathon? Share your impressions here, as well as anything you learned about the race that you think other runners/walkers should know.